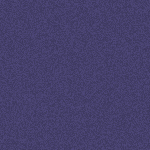 "Aura" pictured at a little over 3 years of age. 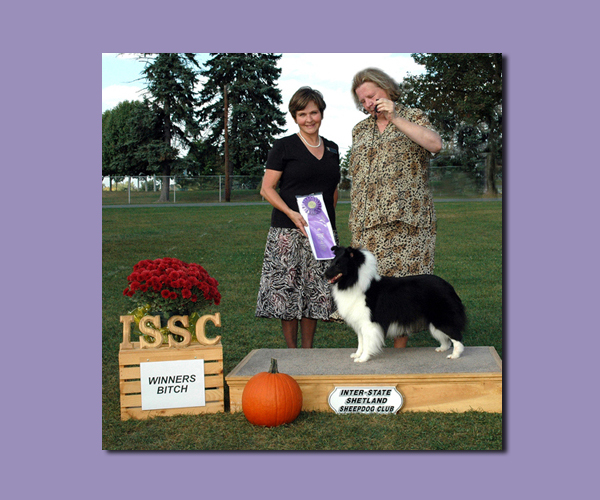 She was co-bred by myself and Kim and Pete, Laureate Shelties and is co-owned with Dianne Hawes, Wistwin Shelties. 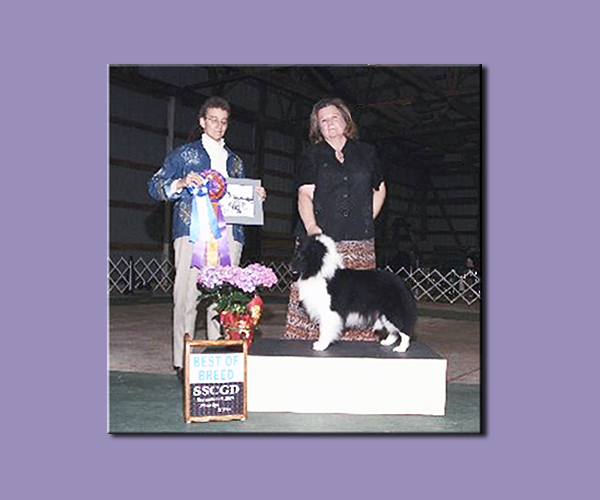 Aura took Best of Breed honours at the Shetland Sheepdog Club of Greater Detroit on September 15th 2007 under judge Kim Schive. 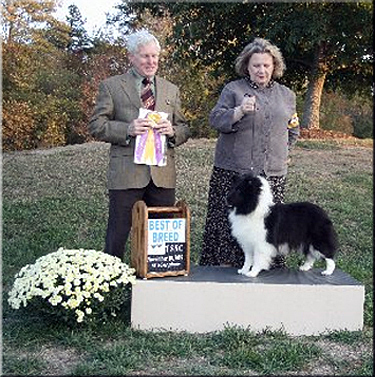 Aura finished her American championship in grand style, being awarded WB by Yvonne DeFrietas at the Interstate Shetland Sheepdog Club Specialty on October 6th 2007. 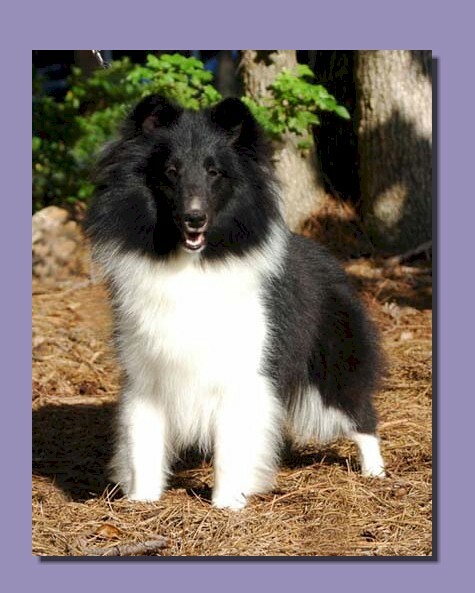 Aura's other notable Specialty wins included going Best of Breed at the Triangle Shetland Sheepdog Club show on November 10th under judge Tom Coen and at the Shetland Sheepdog Club of Northern Alabama on November 14th by judge Yvonne DeFrietas. Thank you Julie Desy for your expert handling, and to Dianne for your faith in our girl!